A gorgeous green premium designer cotton Doggy Friends dog bandana. 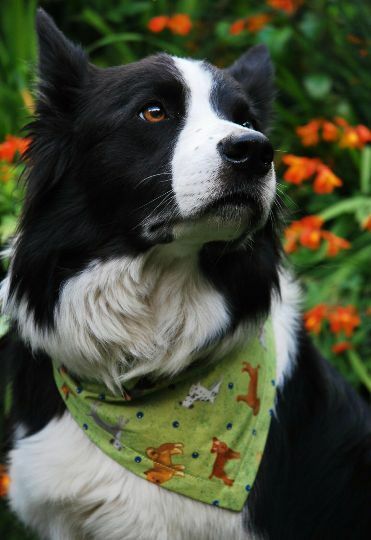 It has a cute print incorporating lots of dogs of different breeds, and is a perfect bandana for wearing to the dog park, out and about on your walkies. It would make a perfect gift for your doggy friends.